While many people think of self-compassion as being gentle and soft, rest assured, it can be strong and fierce as well. Self-compassion is concerned with alleviating your suffering, and sometimes that means taking action, setting boundaries or saying “no.” Kristin Neff teaches that there is a yin and a yang of self-compassion, which are inherent in each of its three components: self-kindness, common humanity, and mindfulness. The yin of compassion is “loving, connected presence.” This is displayed in the form of comforting, soothing, and validating. Think of a mother soothing her crying child or someone comforting a friend after the loss of a loved one. Some people develop a misunderstanding of self-compassion by believing this is the only side to it. They confuse the gentle care we’re encouraged to show ourselves with complacency in our faults and failures, and also fear that showing ourselves compassion will lead to a decrease in motivation for change. But this is not the case at all because of the balance provided by the yang of compassion. The yang of compassion is guided by the action we take in the world and for ourselves in the name of love. It is displayed through acts of protecting, providing, and motivating. Think of a father who works 16 hours a day to provide for his family or a first responder who protects innocent people and victims of tragedy. And the yang side of compassion can be fierce. Think of fierce self-compassion as a mama bear, with you as young cub. If something — whether you or someone else — appears to threaten her cub in any way, the mama bear will do what she needs to do in the name of protecting that which she holds most dear. Fierce compassion allows you to show up for yourself by defending and taking inspired action to protect yourself from being harmed in the same way again. 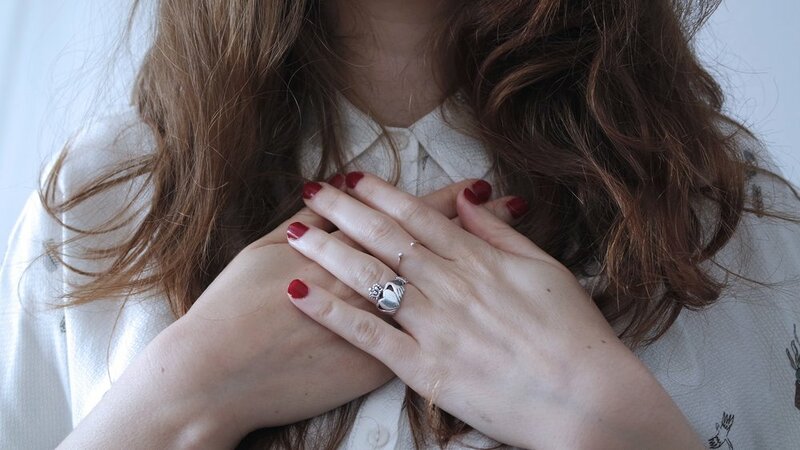 The yin of self-kindness might come in the form of speaking to yourself the way you’d speak to a loved one when experiencing a negative emotion, whereas the yang of self-kindness might see a harmful trigger and take action to protect you. The yin of common humanity helps you recognize that you aren’t alone, whereas the yang of common humanity empowers you or a group you align with to make a change. Think of the Me Too movement, in which women and men who’ve experienced similar trauma felt empowered to speak out against the systems in place that make them stay quiet and address the judgment that makes them feel ashamed. Empowerment sparks movement in the name of love. The yin of mindfulness allows us to observe, acknowledge and accept emotions as they are, whereas the yang of mindfulness also allows us to see what is and is not true with clarity and wisdom, which is essential in recovery. How can fierce self-compassion help you support your recovery? You’ve worked so hard to get where you are. Your recovery is not just a choice — it is something that must be protected. You must take great care not to go back to where you once were (but be kind to yourself if you do slip). Fiercely protect your recovery like the mama bear who protects her cub. When you’re feeling triggered, think about what’s causing you distress, and what boundaries you need to protect yourself in the way you need to be protected? Do you need to get to bed earlier so you can get the rest you need? Do you need to schedule plans with your friends so you see them more regularly? Or do you need to protect yourself by having the courage to say “no” to things you really do not want to do? Have your mama bear write you (her cub) a permission slip to set a boundary to protect you or say no to someone or something causing you pain. Let yourself know you have your own back. When we can acknowledge the power of receiving support from others who care for our wellbeing, the results can be life-changing. There is nothing wrong with getting help; nothing weak about needing to lean on a friend or seek the help of a therapist or dietitian to make sure you continue on your road to recovery to live healthily as possible. A supportive presence can help you meet your needs and provide the boost of strength you need. Take 15 minutes every day to do a daily ritual, such as writing compassionate lists (e.g. “10 things you love about your body” or “5 nice things people have said about you.”) practicing gratitude (keep a journal that you can write three things you’re grateful for every day and look back through), or making your bed (making your bed has been shown to improve mood and increase feelings of tranquility). Marcella Cox is a Licensed Marriage and Family Therapist (LMFT), Certified Eating Disorder Specialist (CEDS) and Certified Mindful Self-Compassion Teacher in private practice in San Carlos, California. She is also a part of Project Heal’s HEALer Circle. Marcella believes that people possess inner strength and wisdom, allowing them to change and heal. It is a great privilege for Marcella to extend a spark of hope and walk with her clients on their journey as they discover their own inner wisdom and goodness, come to know themselves more deeply and befriend themselves wholeheartedly. Full recovery is possible. Be sure to subscribe to Marcella's newsletter to find out more about how you can embrace your body, yourself and your life with more love and kindness or follow @kindfulbody on Instagram and Pinterest.